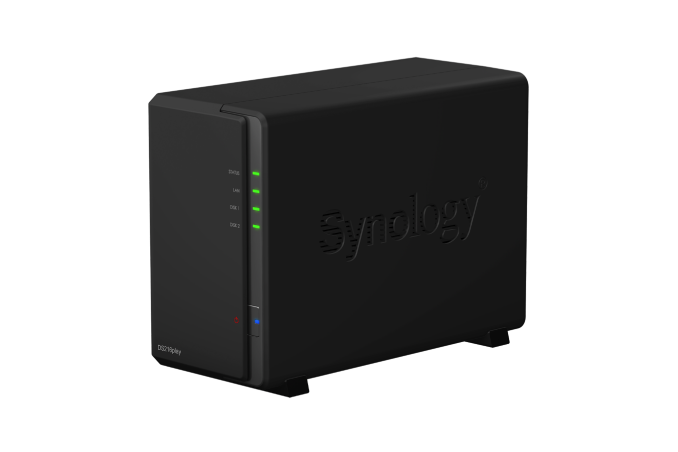 The Synology DS214play was one of the unique NAS units from Synology released last year. It used Intel's Evansport platform (the CE5300 Berryville set-top box (STB) platform re-launched for network-attached storage purposes) and took advantage of the transcoding engine to deliver a unique media server experience. Intel has not provided any updates to their STB platform since the CE5300 was launched. Vendors such as QNAP and Asustor resorted to utilizing Quick Sync that came as part of most Bay Trail and Braswell Atom SKUs. Synology, however, has decided to retain a STB platform for the follow-up product to the DS214play - the DS216play. Synology wants to project the play series as an affordable NAS unit in the market, ruling out a x86-based platform. Instead, we have a new SoC in Synology's lineup - the STM STiH412 from ST Microelectronics. Before discussing the SoC itself, let us take a look at what DS216play brings to the table. The unique feature of the DS216play will be the real-time 4K transcoding capabilities (up to 4Kp30 for H.265/HEVC and 4Kp24 for H.264/AVC). The design uses a single GbE port and Synology claims performance numbers of 107 MBps reads and 91 MBps writes for a RAID-1 volume. The unit is also DLNA certified as a DMS (Digital Media Server). The Video Station package in DSM allows for users to also record TV programs with a DVB-T / DVB-S stick. Other multimedia packages such as Photo Station and Audio Station are also available in the DS216play to strengthen its multimedia focus. These packages are complemented by mobile apps on both iOS and Android. Despite the unique SoC, all the features that users have come to expect from the DiskStationManager (DSM) OS for ARM-based systems are available in the DS216 play also. Synology's claimed power numbers include 15.08W during operation (which will depend heavily on the drives being used in the system) and 6.83W during disk hibernation. The other technical specifications are summarized in the table below. Moving on to the SoC itself, we find that the STM STiH412 is a dual-core Cortex-A9 design with the CPU cores running at up to 1.5 GHz. It also includes a Mali 400 GPU and HDMI Rx/Tx, though both of them are not necessary for Synology's use-case in the DS216play. The block diagram of the SoC is reproduced below. Interestingly, there is no support for HEVC Main10 in the video decoding support section. However, given the low cost of the DS216play compared to other 2-bay NAS systems (seems to be available for pre-order at £170 in the UK right now), we expect another model to come into the market by the time HEVC Main10 becomes relevant to the average consumer. We will update the article with ship date and pricing for the North American market once we have the information in hand. Based on the UK pricing, our guess is that the unit will come in between $200 and $250 for a diskless configuration - similar to most other 2-bay ARM-based NAS units. I was just coming here to post that! If it worked with Plex Media Server I would be VERY VERY interested.